We are happy to announce our new API docs. 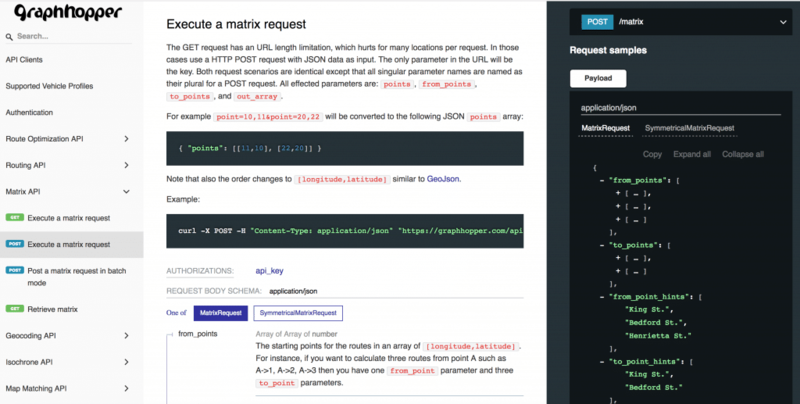 We specified our APIs in the OpenAPI specification language and moved the entire content of our old documentation to a single OpenApi 3.0 document. This has many advantages: There is only a single source for the documentation of new features, and for generating client code to make it easier to use our APIs in your favorite programming language. Furthermore, it is much more developer friendly, since it is precisely specified what our web services expect as input and what developers can expect as output. Even though our docs become more technical this way, we think that it is still easy to read, navigate and understand, and it still has a beautiful look. Additionally, the document is under version control, so our public github repository allows developers to open issues and pull requests to further improve the documentation. To generate our API docs, we use ReDoc and create-openapi-rep to manage the specification lifecycle. This helps us to practice continuous integration with Travis CI, i.e. each commit to the specification is validated against the OpenApi 3.0 specification and deployed to our documentation pages. If you have questions, comments or if you think our docs are much harder to understand now, please feel free to contact us. Happy Routing! Your GraphHopper Team.